Nine-year-old Amelie Bridge was treated to a very special trip down to London recently courtesy of Virgin Trains and Thames Rockets after she wrote to Richard Branson with suggestions for a new First Class menu. 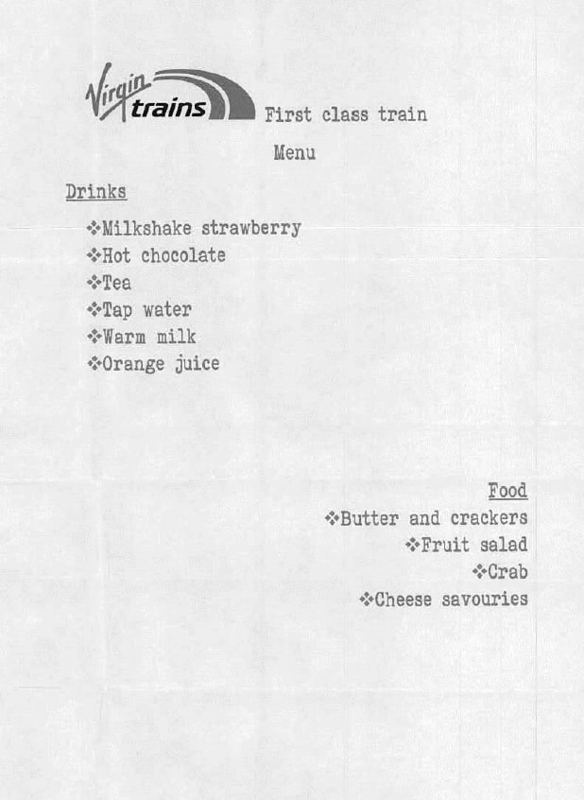 Amelie’s menu, which featured strawberry milkshake, crab surprise, cheese savouries and a fruit salad was brought to life by Virgin Trains’ onboard staff. 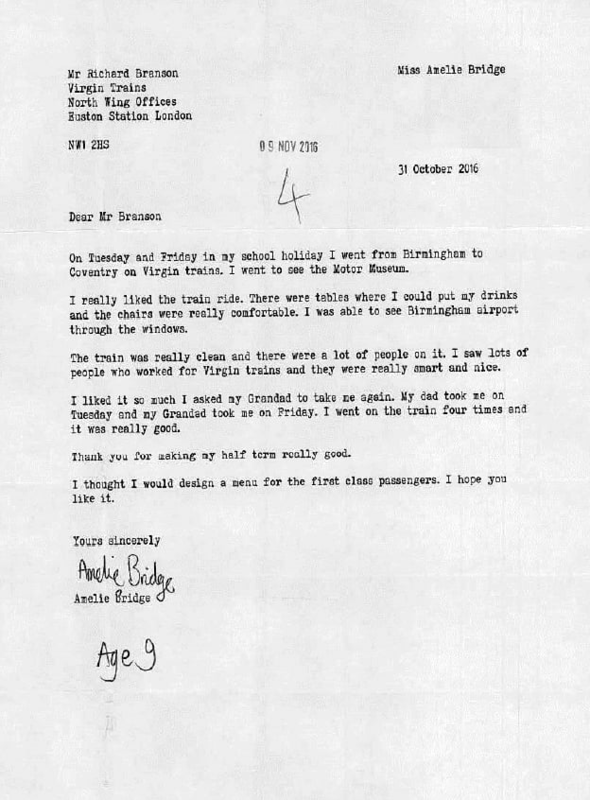 Amelie travelled along with her parents and three friends as guests of Virgin Trains General Manager for the Midlands, Natasha Grice, who said: “We love getting letters like Amelie’s. We know how important food and drink is to our customers, whether they are travelling in First Class or taking advantage of our shop onboard. “We also like nothing more than a challenge. So it was great to be able to bring Amelie’s menu to life and judging by the reaction, we may have to think about picking her brains for when our next new menu is launched.